I cannot explain my reading preferences or my childhood as a whole without including this book. 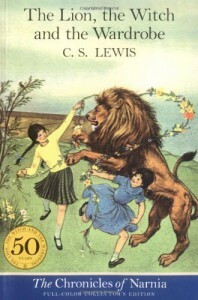 I can't tell you when my first reading of this book took place, as I cannot remember a time when I didn't know the four Pevensies, that 'once a king or queen in Narnia...always a king or queen of Narnia', and the 'not safe, but good' Aslan. I must have read this book at least three dozen times, listened to the radio drama multiple times, and watched BBC's mini-series of this so much I can hear the actors' voice and diction of nearly every line of the book. This book is woven intricately into my life. After high school, however, I decided to set aside series and fandoms I'd over-read/watched and try new things. So into hibernation went Star Wars, my Journeys of the Stranger series, Sherlock Holmes, and Narnia. I figured, give them a few years and returning will be like reading/watching them anew. Some I have yet to read, but I didn't quite leave Lewis behind completely. My senior liberal arts class had us read some interesting books but my personal favorite was Till We Have Faces. I had also been introduced to The Great Divorce or what I personally call, the Bus ride from Hell. What I discovered was that I loved Lewis' adult works as well and could draw similarities to the stories I'd loved so much. And now here we are, a Reading Challenge helping me take the plunge to truly return to Narnia, a land I knew so well and always hoped would show up in my wardrobe. Hold on, this is going to be a long one! While chronologically not the first book in the Narnia saga, as this was the first writing, it serves as a good start for people new to Narnia. The Lion, The Witch, and the Wardrobe is set in England as WWII comes to its skies, and four children join thousands of others as they are sent from London and the threat of the Luftwaffe out into the countryside. If you are interested in learning a bit more about this, I would suggest the Foyle's War episode "A Lesson in Murder". Fortunately for them, they are sent to a rambling old house owned by an elderly Professor...who just so happens to have a rather unique Wardrobe. There are so many important characters, it would take a longer review then I could to discuss them all. Of the most important of course are the four children: Peter, Susan, Edmund, and Lucy. Peter: He is the oldest of the children and a natural leader. Yet, he is a caring person and his leadership is a much about care-taking as it is about being the one looked to. He seems to have a special relationship with Lucy and listens to nearly everything she has to say. A bright boy, he grows up quickly in this story. Edmund: Perhaps the child that we can relate the most to...and yet don't want to say we do. He is the youngest boy and spends most of the book holding grudges, acting 'beastly', and generally a very unpleasant character. He also makes the most disastrous choices and is the character who learns first hand about forgiveness, mercy, and redemption. Lucy: Easily my favorite of the children, she is an honest and sweet girl who always seem to find something to smile about and is rather plucky for being the youngest. She is the first to venture into Narnia and is the one who seems to always be the closest to this magical land. Aslan: While not physically in the story until over half way through, his presence is felt throughout the book. We first learn of him as the children do from the Beavers and get to know him before we meet him by how each character reacts to his name and his presence in the land. He is the King, the son of the Emperor across the Sea, and is described as 'not safe...but good'. A wise lion, he and the White Witch are locked in battle as he must also set the children on the path they are meant to take. The Professor: Barely mentioned in the book but the one person outside of Narnia to give the children the advice they need, there is much more to this old man then we are allowed to know in this book. Narnians: 'People' like the Beavers, Mr. Tumnus, as well as the evil ones like The White Witch and her minions fill this novel not just with the amount of characters but with their presence. The Beavers and Mr. Tumnus are so...life like, so easily to connect to and seem to be just as real as the children could be. The White Witch, while presented in many ways as a children's book villian, is also given a chance to show the true face of evil. The way she reacts to Aslan, taunts him, tempts and beguiles Edmund only to toss him aside, and attacks defenseless creatures for telling her the unwanted truth shows a person consumed with her own self-importance and cares not about how she may reach her goals. I think the best way to describe her is how the Narnians do: 'she is the one who makes it always winter here, always winter and never Christmas.' Simple words that have such a wealth of meaning. Personally, I love reading the few moments we spend in the Professor's house. I dreamed of that place and it's rooms of books, history, and multitude of interesting things. On a personal level, I love those moments because they ring 'British' to me without the overemphasizing of differences with America you see now a days. Lewis is simply writing what he knows and it's beautifully simple. Once we enter Narnia, you feel as if you are in another world. The trees, the snow, the Beaver's dam - all of it is so simply and yet vividly described. When Lewis describes Spring coming, I swear I smell the flowers and hear the birds sing. Lewis has a direct, simple, and vivid way of writing that works perfectly for children and adults alike. It does not take many words to describe anything but the words he chooses create amazing visual, auditory, etc. sensations. Narnia becomes real because he brings it to life through sound, smells, sights, and taste. "It's she that makes it always winter. Always winter and never Christmas; think of that!" Children can latch onto the sheer horror of a never-ending wait for Christmas, and the fear of someone who would deny such a lovely holiday. Adults, however, I think can draw far more from these two sentences. I know I do and I feel there is still so much more, so much depth I still can't see. All I know is I felt a brand new horror at this statement I never had before. The idea of a land kept dead, lifeless, locked in a time with no connection to joy, peace on earth, good will to men, and the spirit of giving is a frightening concept. Quite frankly, that image is of a land I'd want no part of; a cold, terrible place with no hope. That is true evil. Another line that fills me with dread every time is: "even some of the trees are on her side." Doesn't that just make you want to take a walk in the woods. How terrifying to not even be able to trust the trees closing in around you. There are others, of course. Aslan described as not safe, but good; and of course, "Once a King or Queen in Narnia, always a King or Queen in Narnia". Somehow you can feel the wonder and depth of that...even if I don't always realize what it means. I believe I can trace my love of informative but slightly off topic asides to this very series. Lewis will often make mention of how Narnia is different or how you might feel if this happened and so can't you understand how the person must feel. I love those and they remain some of my favorite parts of the story. There is one other interesting aspect of Lewis' writing. Every time I read these books, it is a slightly different book. What I am currently going through, my age when re-reading it, and even the time of year makes each time I read this like I'm reading it for the first time. As I'd not read this in such a long time, it was completely anew to me. If you have read this once but haven't picked it back up in years, I'd suggest reading it again and see if it's still the book you remember. I don't want to say too much here as I don't want to put a spoiler tag on this review. This is a great introductory story for the series, which is one of the reasons for the continuing debate over which to read first: this or The Magician's Nephew. 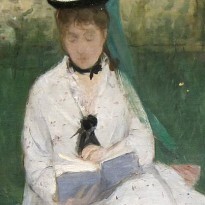 The later is the prequel to this story and certainly lends understanding to at least two characters mentioned in LWW. However, it also clearly expects you to have an understanding of Narnia before reading it and can only be truly appreciated after reading at least this book. It's rather like the issue with The Hobbit. It is so intimately tied with The Lord of the Rings, that one aids in the understanding of the other; I did not enjoy Hobbit until after I'd read the trilogy. This is a good, solid fantasy story that is not bulging with details but rather the simplicity of a land similar, yet different from ours. It's connections to fables, myths, and legends are numerous, further lending to an easy understanding. This is a good vs. evil, coming of age, and classic fantasy all rolled into one. Talking animals, Naiads and Dryads, as well as Giants and other staples of fantasy people this book and yet it never really feels cliche or 'been there, done that'. And yes, this is an allegory, much to the consternation of Tolkien who wasn't a fan of such literature. Christians or those familiar with the Christian faith will be able to easily draw parallels to numerous aspects of the book. However, like Lewis himself, the book does not cram its faith down your throat nor does it stand out as an added part of the story. Rather it is woven intricately into the plot of the fantasy and yet is, because it is allegorical, the book can be read as simply fantasy. Regardless, this is a classic of chlldren's (and grownup) fantasy and definitely warrents at least one read through. This was a lovely reread that helped me remember just why this was such a staple of my childhood. I enjoyed renewing my acquaintance with the Pevensies and am looking forward to continuing my return trip to Narnia. I hope at some point you will find your own wardrobe. 01/02/2014 page 10 5.0% "I wouldn't have posted so quickly but something struck me as I was reading this. The Wardrobe is described as being one with a looking glass in the door. Two thoughts immediately came to me: first that no film version has had such a wardrobe - they are always fully wooden and usually carved, second that Lucy is going past a looking glass into a new world.